Two years ago, Line introduced the Pescado, a 125mm-underfoot powder ski from Eric Pollard. The Pescado was (and still is) quite unique, featuring a swallowtail design, lots of camber for a pow ski, a fairly low weight, and a mount point that was much more traditional than what we’d expect from Pollard. The result? A very unique ride, and a ski we really enjoyed in any sort of soft snow. 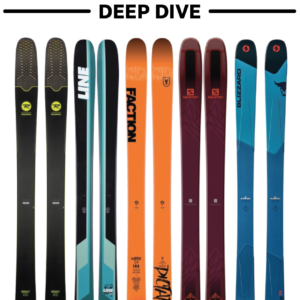 But at 125 mm underfoot, the Pescado is most definitely fat, and so for 18/19, Line is introducing the Sakana, a 105mm-wide swallowtail ski that features a lot of the Pescado’s design elements, but in a package that’s supposed to be more all-mountain-oriented. Compared to the Pescado, the Sakana’s tips and tails feel a bit stiffer, which makes sense since the Pescado is specifically designed to perform well and plane up in softer, deeper snow. And Line has been very clear about this: the Sakana is supposed to be a hell of a lot of fun carving the crap out of groomers, and its accessible tips and significant sidecut should be conducive to bending the ski into quick turns. When it comes to the two lengths of the Sakana, the 181 cm version is a bit stiffer at the tips and tails, and this difference is more noticeable in the tips. That’s a pretty interesting description, and given the Sakana’s relatively low weight, we’re very eager to see how damp and / or energetic the Sakana feels in various snow conditions and speeds. The Sakana’s shape is very similar to the Pescado, with a fat, minimally-tapered tip, no tail taper, and a swallowtail cutout at the end of the ski. The swallowtail is definitely what makes the Sakana stand out most from other skis, and the Sakana’s tail is a bit less carved-out than the tail of the Pescado (i.e. there is less negative space). The Sakana also has a large metal reinforcement around the swallowtail cutout. The Sakana’s rocker profile is less unusual, with fairly standard tip rocker / splay for a ski of this width (a bit less than the Line Sick Day 104), and very minimal tail rocker. Compared to the Pescado, the Sakana has a bit less rocker and splay in both the tips and tails, which, again, makes sense given the Sakana’s intended purpose as an all-mountain ski. Though the Sakana’s waist is ~20 mm narrower than the Pescado’s, the Sakana’s tips and tails are still very wide. So, for a 105mm-underfoot ski, we suspect the Sakana to perform very well in powder. The combination of a narrower waist and wider tips and tails is also reflected in the Sakana’s sidecut radius (15 meters for the 174 cm version). That’s a very tight radius, and it’s interesting that Line claims that the Sakana “encourages a wide variety of turn shapes.” This will be one of the main things we’ll be looking out for in our full review. That said, based on the ski’s dimensions (and the Pescado’s own strong performance on spring groomers), we suspect the Sakana could be a lot of fun to carve on soft snow. 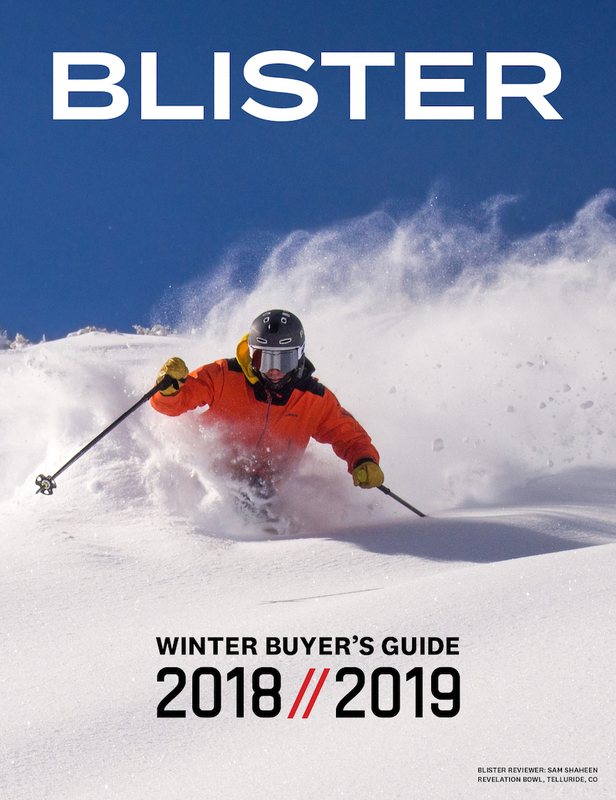 While we will be getting time on the 181 cm version of the Sakana (which is the longest version Line is making) and tend to review skis that are significantly longer than the 174 cm Sakana, Line encouraged us to try the Sakana in its shortest length. 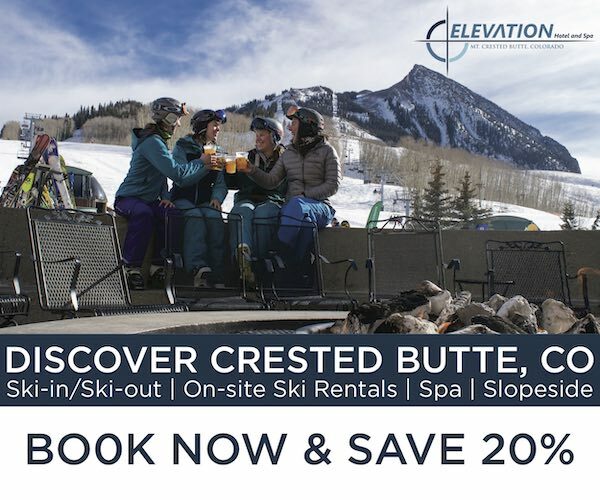 We’re very interested to see how this shorter ski feels, and whether skiers that are accustomed to longer skis will still enjoy it. It’s also worth noting that the shorter length, fat tips / tails, and swallowtail design of the Sakana (and Pescado) all mirror the short / fat trend in snowboard shapes. Our snowboard reviewers have really enjoyed the carvy / agile / surfy feel of boards like the K2 Cool Bean and Rossignol XV Sushi LF, so we’re very interested to see if we come away with similar impressions after skiing the Sakana. At around 1750 grams for the 174 cm version, the Sakana is pretty light. While Line doesn’t mention anything about touring in their description, we suspect that the Sakana could be a very fun touring ski for powder and / or spring corn. With a weight this light, a shorter length, and a very tight sidecut radius, we don’t expect the Sakana to feel like some sort of charger in variable snow, but we are curious to see whether Line’s Carbon/Flax reinforcements seem to help it feel more stable in difficult snow. Here are a few of our measured weights (per ski in grams) for some other notable skis. Keep in mind, however, the differences in length, since the 174 cm Sakana is significantly shorter than several of the skis listed here. 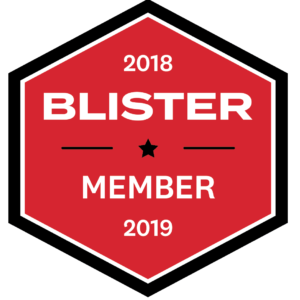 Blister members can now read our initial on-snow impressions in our Flash Review of the 174 cm Line Sakana. If it was any double rocker ski I wouldn’t even ask, but should someone just under 6′ and around 155lbs (aka me) go directly for the 181? Or would the 174 be “enough” ski for a daily driver, having a flat-ish tail and all. The answer to that question will have to wait until we get time on both lengths, but we’ll certainly be addressing it in our review. According to Line, the Pescado is unchanged for 18/19 apart from graphics. Any plans on seeing how this thing tours? We are planning on touring on the Sakana as soon as we get enough time on it with alpine bindings. Should be quite soon. I’m really excited for this review as well. I have a pair of the older Armada Kufos that are mounted around -10 and it seems like this will ski very similar. I’ve loved that setup as an east coast touring ski and it manages variable to soft snow really well at a pretty low weight. I only wish the sakana came at around 115 underfoot, but maybe that’s more float than needed. Also really happy to see skis with tight turning radius and recommended in shorter lengths. This combo works well for east coast tight chutes and trees, and with the trend of straightening big mountain skis, has been harder to find! Where abouts did you measure length from on these skis, tip to the cut out? or tip to the end of the fork? I am really curious on sizing with these, they could make a really fun allmountain ski! Hey Josh — our measured length is from the tip of the ski to the end of the fork since the whole tail is on snow when tipped on edge. Please do & publish the review asap :-D, can’t wait to read it. Did Line communicate a price for this ski? We’re waiting on Line for the MSRP, but will update when we hear from them. Well for now I’m a little disappointed, I was expecting a much more enthusiastic review (but maybe I was hoping for one a little too much?). I’m interested to hear about how the Sakana tours though, because I wanted to mount the Atomic Shift on it for next season to make a true 50/50 ski. Wait and see. Same for me… And was also expecting a more enthusiastic review. I found this from Line global brand director calling $750…. hopefully that’s closer to the mark. MSRP is $900, MAP will be $750. I was also looking at the Salomon Shift MCN on them. But I have some Pivot 18’s which I will throw on instead. Nice review. just a little interested in al this talk about lenght on the sakana. Line states that the sakana would ski like a +10cm ski but I guess that is only if you compare it to a twintip ski and not a more directional ski!? isnt the sakana a ordinary directional ski, except for the cut out and huge showel? when you put the ski on edge I guess the taper is more relevant then rocker also when you compare it to other directional skis. 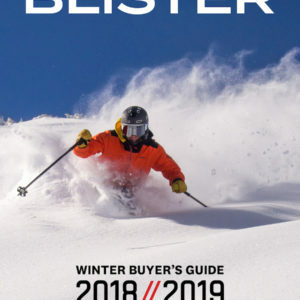 I dont know if I have got everything wrong but the most interesting meassurment on a ski would be the effective edge to get a relevant lenght for performance on groomers? Looking forward for the touring section :-). I tried the Kore 99 & Movement 109 today at Verbier, Movement was pretty great in tracked pow and didn’t really find something nice about the Kore 99 (apart groomers but my Völkl RTM84 is way better in this situation)… Also realized you have to go rather fast to have fun with both. So maybe the Sakana can still be a good choice if you don’t want to destroy everything @mach 2 on the slope/chop. Thanks Luke! We’ll monitor the comments and answer any questions if we can add tot he conversation. Really gratified on how it came out! I have the pescados and love them for cat skiing and deep days. I’m considering getting the Sakana’a purely for groomer days and warm slush days @ deer valley, etc. Don’t need to be good at anything else. Anything else I should cross shop for a super fun groomer ski? I’m 5’9” / 170..would you get 174 or 180? There are a ton of fun groomer skis out there, but I think the thing that sets the Sakana apart is how playful it feels, while also excelling at laying down hard carves. If you are looking for something that’s purely for groomers and warm slush days, the Sakana sounds just about perfect (especially since you like the Pescado). The Line Sick Day 104 has a pretty similar overall feeling to the Sakana, though the SD 104 isn’t quite as easy to bend into really tight turns and get super high on edge. But the SD 104 is a better all-mountain ski, so if you want something a bit more versatile, that’d be my recommendation. As for length, I think the 180 would probably make the most sense as I think you might overpower the 174.
it’s come to that time of year again and I’m already geeking out on gear for Jan.
I’m looking at throwing Salomon shift bindings on the line sakana, pescado and SD104. The issue for me I have to buy online before I get out to the Usa as when I get there in Jan they’ll prob all be sold out. I don’t really want to buy 3 bindings if I can help it. Can you tell me if I could use the shift with binding freedom/ quiver killer inserts? I’m just unsure of the top centred screw in the mount at the front of the binding. Unfortunately I don’t know for certain whether there are any potential issues with the Shift and binding freedom / quiver killers. I think giving those companies a call would be the safest option, as I’m guessing they’ve probably tested it by now. Any idea of the lower limit of height on the 174cm Sakana? Wondering for a 5’5’ 120lbs female skier. 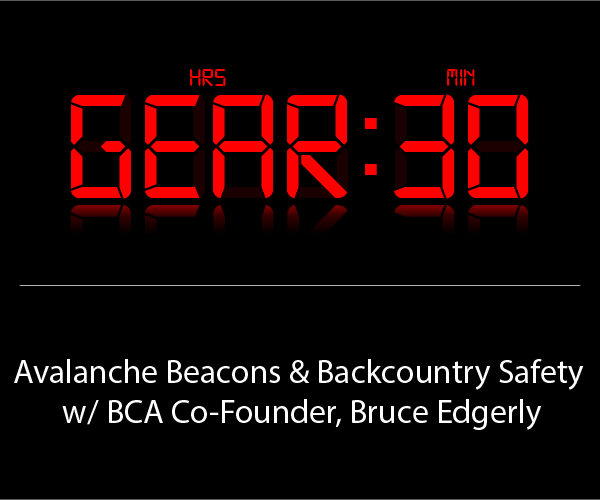 Starting to geek out on the gear again getting ready for winter…. looking at the sakana and I have a couple of questions. How would the 174 go for the wife at 5’8 and 132lb? She’s currently riding the sickday 95 (172cm) n loves em. 2. Use inserts and drill the ski for her and me and move the binding for each of us when it’s needed? I suppose I’m asking how much flex /performance wiill you loose by choosing either one. Re: your question about length, I think the 174 cm Sakana would definitely work if your wife loves the 172 cm Sick Day 95. As for your question about bindings, I think that depends on how often you think you’ll be swapping the skis. If you want to be able to swap often or quickly, then a pair of demo bindings is probably the way to go. We spend a lot of time on demo bindings, and I think the ease of adjusting for different BSLs is worth the slight decrease in performance if you’re going to be swapping often. Inserts are nice in that you get all the performance of a standard alpine binding, but they do require a bit more time and effort to swap compared to most modern demo bindings. The demo would def be more convenient for us sure… esp if we are switching through the day on slope…..
but do you loose much flex with that demo binding ? is it significant and noticeable ? Personally, I don’t notice much of a difference in terms of flex. I skied both lengths of the Sakana on demo bindings and I thought they felt great. I think some people are more sensitive to ski flex than others, but for me at least, I have no problem with skiing on demo bindings and find the difference in flex to be negligible. Great update. just interested in how the sakanas performance on ‘hard” groomers. I know they are a not Mantra style of ski but compared with for example Blizzard Rustler 10. Are about to replace my Line SFB (108mm under foot) and want something with little more energy in and out of the turn ön groomers. I want to know line sakana’s binding position. In this article, it is written that ” Factory Recommended Mount Point: -10.75 cm from center; 76.3 cm from tail”. But, in LINE’s official HP, “stance: -80mm” is written. I am japanese, so not good at writeing English. I own a pair of the Sakanas and I’ve skied them about 10 times now. This review is SPOT ON. Carving clean groomers on the Sakanas is off the charts, but I agree that the ski seems overwhelmed by tough snow days or in choppy/cut up snow.